Identifying a missing niche as environmentally-conscious building rating systems were being developed like LEED, Greenroads and Webkey developed a one-of-a-kind rating system for "greener" roadway construction. Beginning in 2008, we coordinated a brainstorming session between the Greenroads and Webkey teams to formulate a comprehensive web presence and a strategy to achieve it together. Merging nascent program needs with web technologies produced a powerful and resilient website. For optimal usability, the logic of the rating system is transparent to the user, as it parallels the admin interface that built it. There is a direct link between the public rating system that projects use, and the custom administrative interface to build, version, and manage it. Collaborating together as an ‘in-house’ design team, we co-developed the logo and branding for the new program as part of a comprehensive identity system, comprising logo, color palette, typography, page layouts, program signage, and merchandise. A consistent look & feel delivers an effective message. 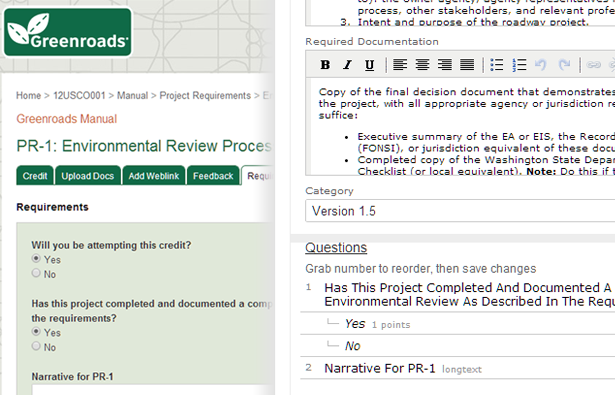 Each road project references the rating system guidelines and resources for their project and compares their progress on a summary scorecard. This snapshot in time is produced at key points in the certification process to keep projects and the Greenroads technical reviewers ‘on the same page’. 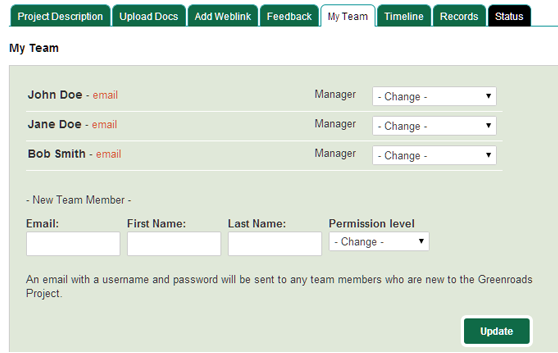 The Greenroads website employs secure, ‘members only’ private pages to facilitate project teamwork. 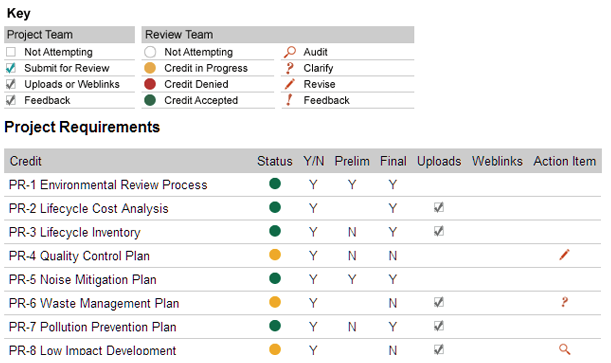 Each project manager can invite others to collaborate online where each can track project progress, answer questions, and output scorecard snapshots. In addition to the cost to certify a project all the way through, Greenroads is supported by individual and organization members, and utilizes the Events module to sell tickets to their events and classes. 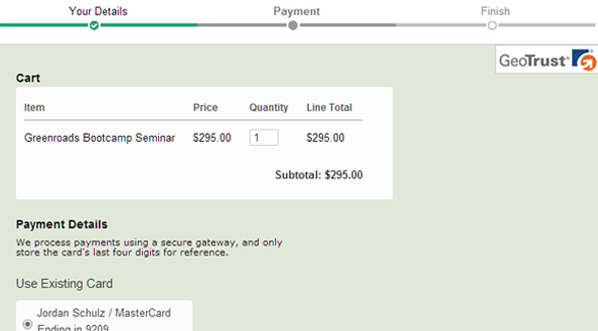 By creating a unified checkout with a clear user flow, and supporting advanced ticket options for admins, it is a quick matter to update prices and add new events. 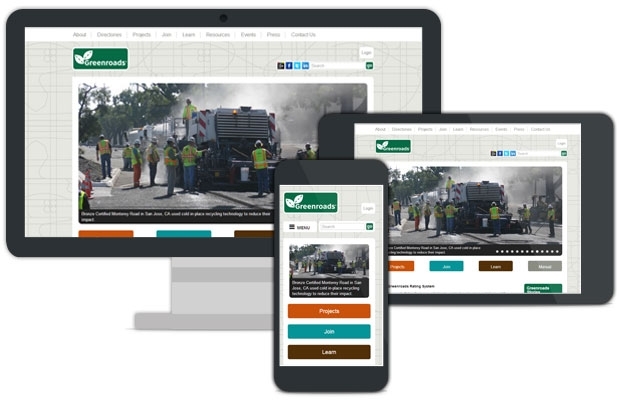 Regardless of which web-connected device used, the Greenroads website looks great on a computer, tablet, or phone. Webkey worked through a series of wireframes to distill existing layouts into collapsible containers. All the content available on a desktop is at user’s fingertips - assisted with a mobile-specific navigation when needed. There is no substitution for direct feedback from users of a website. We conducted three cycles of structured user testing, team review, site revisions, and then verification through more testing. The result? 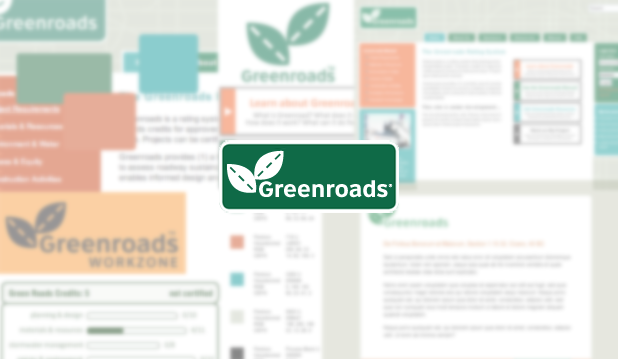 Greenroads couldn't be happier with their site.